What unique about Atlanta? Well, it's home of Coca Cola, Delta, CNN, 1996 Summer Olympic. 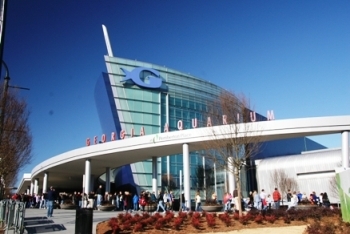 It has the largest airport in the world and largest aquarium in the world. The reason I went there because I wanted to see my aunt and cousins I hadn't see for years. So I decided to rent a car and drove more than 6 hours from South Carolina to Georgia. The houses are very cheap compare with those in Southern California. Houses here cost around 2 to 3 million dollars and over there it's only under half million. And land is huge over there. Take a look.